The firm also presented a Xiaomi virtual reality headset developed with Facebook's virtual reality unit Oculus, which is now led by former Xiaomi executive Hugo Barra, who attended the event. Facebook's main social media platform is blocked in China. Chinese smartphone maker Xiaomi celebrated its eighth anniversary on Thursday (May 31) with a rock concert-style launch to unveil the flagship Mi 8 smartphone, strikingly similar to Apple Inc's iPhone X, presented by Xiaomi's chief executive Lei Jun. The smartphone and connected device maker is looking to rev up excitement levels with its fans - and potential investors - ahead of the Hong Kong listing that could come as soon as June, as it looks to justify a sky-high expected valuation. Xiaomi is expected to command a market value of $70 billion to $100 billion, just eight years after its founding. Raising $10 billion would also make it the largest global listing in almost four years, after Alibaba Group Holding Ltd.
Xiaomi's blockbuster initial public offering (IPO) has drawn major scrutiny on the company's performance, even following a recent return to form and after it blew past its 100 billion yuan sales target for 2017 with a couple of months to spare. 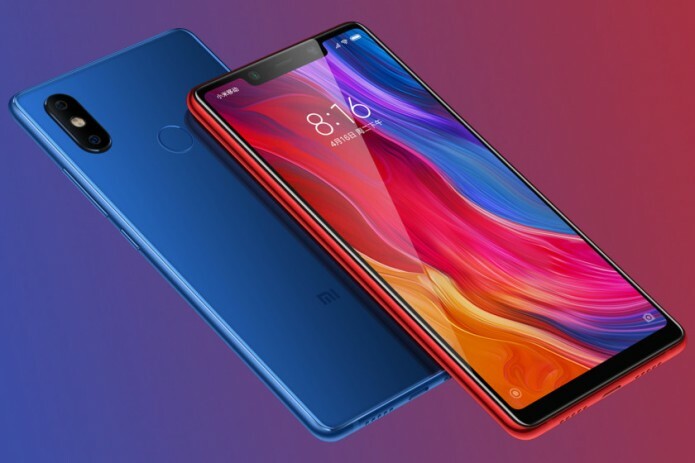 Xiaomi, which started with smartphones and has since branched out into a plethora of smart devices, gained a following in China by releasing limited batches of slick-looking phones online at a mid-range price tag.